My Mom came to town so we had to hit a few garage sales. We were looking for baby items for my niece who is due in June. We found a few things. I was lucky enough to find some fun treasures too. 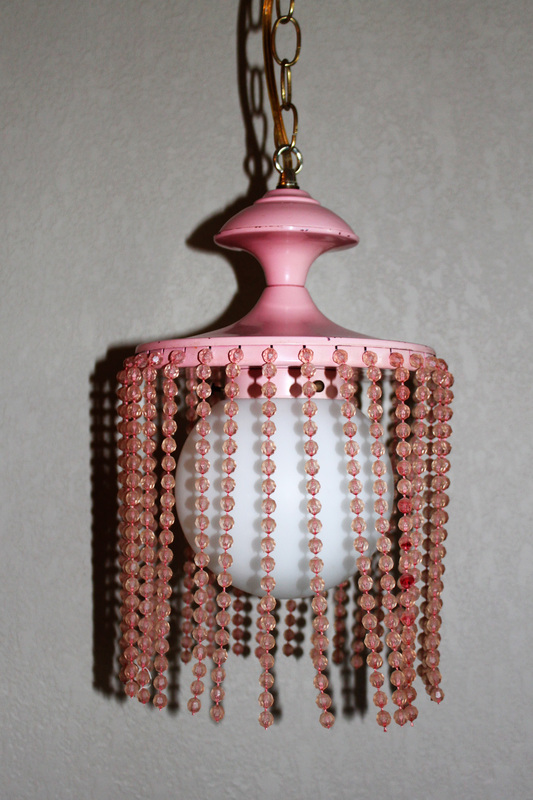 My favorite find today was the pink hanging lamp. The pink top is metal and the strands are made of pink beads. Perfect for a pink room. 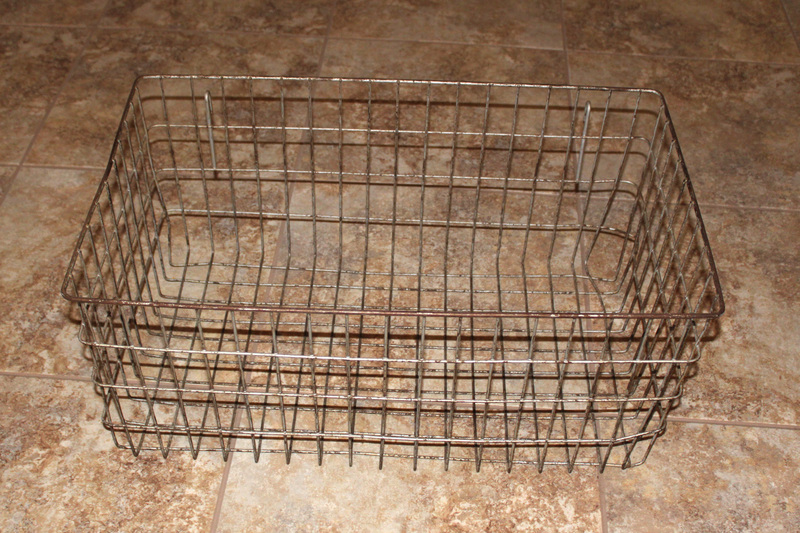 Love anything wire, so had to get this extra-large wire basket. Think I will just use it to store some of my “for sale” items in for right now. 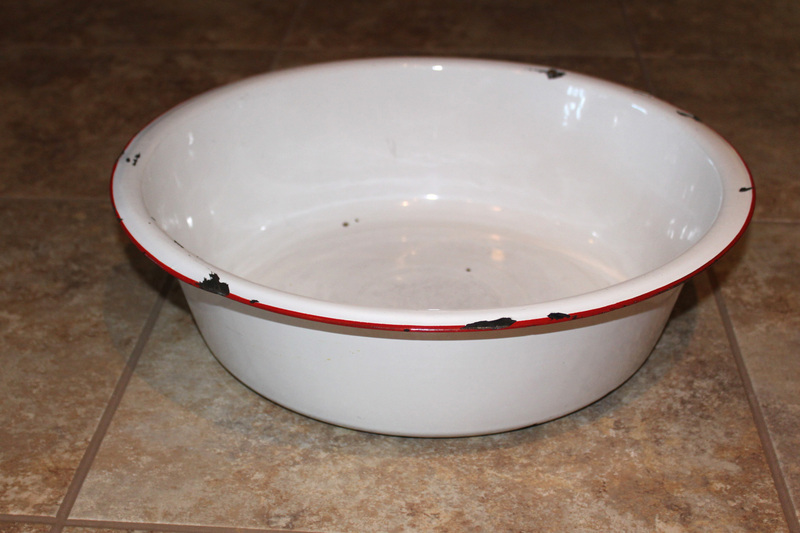 Also have a weakness for white enamel with red trim items. This one has lovely character with its chippy spots. Reminds me of the bread pan my Mom always used and actually still uses. 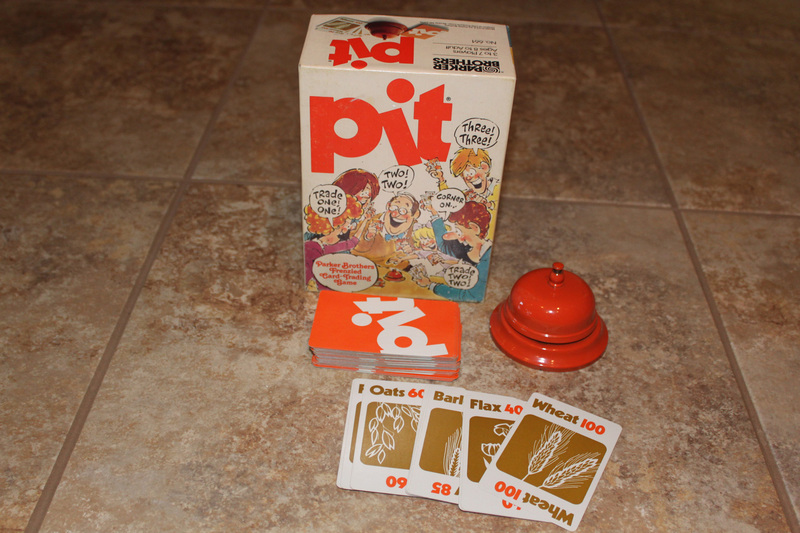 Had to pick this Pit Game up. I have never heard of it. It is from the 1980s. The reason I had to have it was the orange teacher’s bell that came with it. I remember my 2nd grade teacher, Mrs. Privratsky had a bell on her desk that she used all of the time to get our attention. Hated that thing then, but now…just love these types of bells. 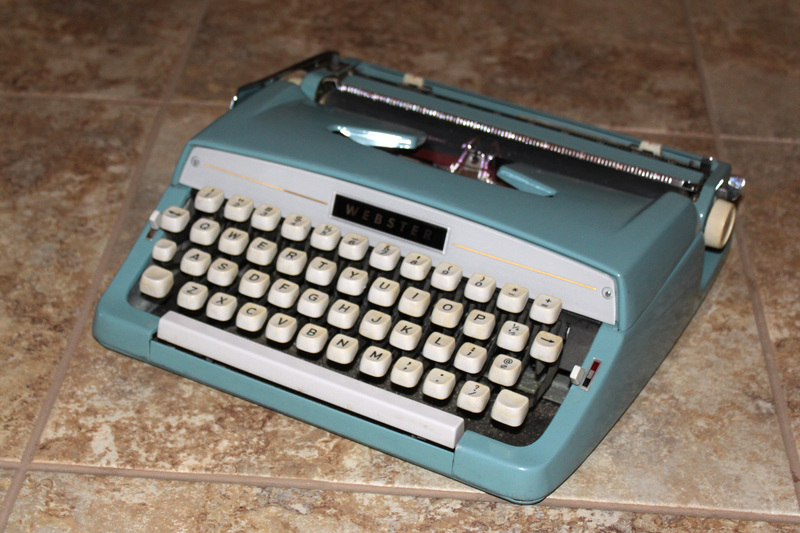 The final item for tonight is this Brother Webster typewriter. Love the aqua blue color. It works quite well. Saturday my Mom and I are heading to a small town an hour from here that is having a city-wide garage sale day. Looking forward to finding some great treasures. Love the wire basket and the typewriter 🙂 Hope you have a great weekend!! Thanks, some day we are going to meet. 🙂 Yes, had a great weekend. PIT is such a fun game! You should definitely try it with your family or friends. We grew up playing that game with our family.